The statistics surrounding alcohol abuse are astonishing. Not only is alcohol the most commonly abused addictive substance in the United States alone, but over 17.6 million people suffer from alcohol abuse or dependence. And even more than just those with a problem with abuse or dependence, many more engage in dangerous, binge drinking habits that could contribute to alcohol issues down the road. It’s obvious that alcohol affects a large percentage of today’s population, but the impact goes far beyond just those who are actively engaged in abuse. Individuals who abuse alcohol tend to also experience emotional, physical, and psychological obstacles that often manifest themselves in the individual’s relationships. To put it simply, individuals with alcohol addiction have a difficult time maintaining any semblance of normalcy in their relationships because of their dependence on alcohol. Alcoholism has a tendency to dismantle marriages and other romantic relationships as well as familial and platonic friendships. And the primary issue involved is that the individual struggling with alcohol prioritizes alcohol over his or her loved ones. 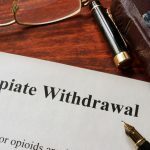 Fortunately, however, recovery is possible, but understanding the challenges associated with alcoholism and relationships and finding an appropriate alcohol rehab center is one of the first steps. • Abandon important duties: Excessive alcohol consumption alters an individual’s cognitive function and physical ability to complete tasks, which eventually leads the individual to neglect or abandon responsibilities associated with his or her role at work, home, or in school. • Necessitate recovery time: Alcohol impacts the body with several short-term side effects, including hangovers. While this altered physical state may be temporary, it tends to significantly impair one’s ability to maintain regular commitments, as he or she will need time to recover from side effects. It also contributes to unhealthy behaviors, including eating poorly and avoiding exercise. • Engage in risky and/or illegal behavior: Drinking regularly contributes to an individual’s likelihood of engaging in risky behaviors, such as participating in a fight, displaying disorderly conduct, driving while intoxicated, and instigating domestic disputes or violence. • Institute physical dependence: Alcohol is an addictive substance, meaning that it can initiate a physical dependence if consumed regularly. While individuals who do become physically dependent and have an increased tolerance are not necessarily addicts, continued drinking can lead to addiction. • Drink more than two standard drinks a day. • Drink more than four standard drinks on a given occasion. • Wake in the morning not remembering the activities of the previous night. • Have children who actively ask them not to drink. • Engage in fights that remain unresolved with a partner. • Are physically or sexually forceful with a partner. • Prioritize drinking with others or alone above an established relationship. • Spend a significant amount of money on alcohol each month. • Deal with stress, relational and otherwise, by drinking. Seeking treatment and finding available alcohol rehab centers is the best option for individuals recovering from dependence or addiction. Alcohol rehab facilities are equipped to not only help the individual but to also initiate a pathway for mending relationships, so the affected individual(s) can go on to lead a healthier, happier life. In most alcohol rehab centers, therapy and support sessions are available for both individuals involved. The goal is to help restore the relationship as the individual goes through detox and recovers. In many alcohol rehab facilities group and/or family counseling is also available. While alcohol addiction and abuse is a significant problem with far-reaching effects on relationships, there is hope. Understanding the impacts of the issue and being able to recognize signs that rehab or detox may be necessary is the first step.